A special members-only site visit to Ctrip's Shanghai Headquarters. Ctrip has been a NASDAQ listed company since 2003 with a market cap of roughly more than AUD $27 billion. The company is most commonly attributed to its online travel agency 'Trip.com'. If you have ever travelled from or around China, you will have used Trip.com on more than one occasion. And you wouldn’t be alone, with an average of 150 million active users monthly, Trip.com is the leading online travel agencies in China, and the second largest in the world. It’s your one stop shop/website/mobile app for travel. Although 70% of the Ctrip Group's transactions are through mobile platforms, since inception in 1993, it has grown to 18 offices around the world, employing over 30,000 employees. With its operational headquarters here in Shanghai, the company conducts a substantial amount of its operations in China. Located on a lot of 86,000sm, Sky SOHO is made up of 12 standalone buildings and 16 interconnected sky bridges, designed to represent four bullet trains about to take off. 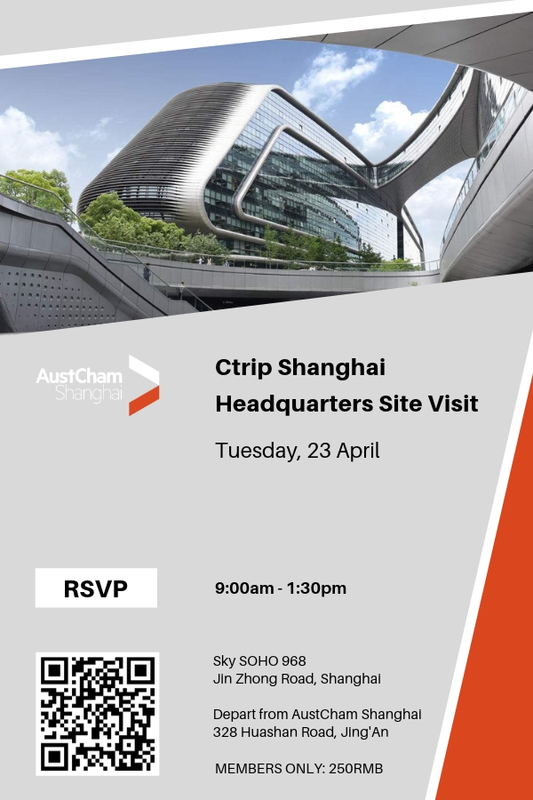 As a unique member only benefit, AustCham Shanghai members will have the opportunity to attend a half day site visit of the Shanghai headquarters. 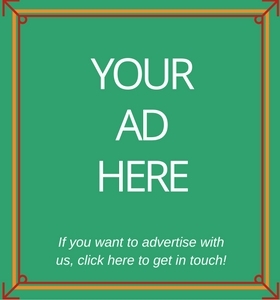 *Fapiao: Please fill out the fapiao info form here. Please note that reception of the fapiao may take up to 7 working days after the event. Cancellation Policy Please note that if you need to cancel this booking we must receive your RSVP cancellation by email or fax no less than 48 hours in advance of an event, unless another specific cancellation date/time is notified in the event details. The Chamber will have to charge you full-price for the event if you do not cancel your attendance by the stated time. This is necessary to cover costs automatically incurred by AustCham Shanghai for events on registered attendees’ behalf.